One of the cryptocurrency giants EOS has been overtaken by the Stablecoin Tether to become the fourth largest cryptocurrency in terms of market capitalization value, showing weakness in crypto markets. This change in position has happened due to the crypto markets prolonged bearish run. Especially this Monday all major cryptocurrencies including Ethereum, Ripple, and Bitcoin were trending in the negative region. Also, the values of other major players like Bitcoin cash, EOS, and Litecoin all went down in value. On the contrary, the value of Tether’s USDT was trending in the range of $1.01. The stablecoin saw an increase in its market capitalization. Stablecoin went from its Monday low at $1.69 billion to $2.04 billion that is the value of Tether shot up by 20%. During the same time frame, the market capitalization of EOS had witnessed a loss of 6.97%, while Bitcoin Cash and Litecoin’s market capitalization fell by 12% and 7% respectively. By observing the market, it can be found that whenever the cryptocurrency market faces a strong bearish trend, the demand for stablecoins increases. This happens because the traders try to liquidate their cryptocurrency holding in exchange for stabilized assets. 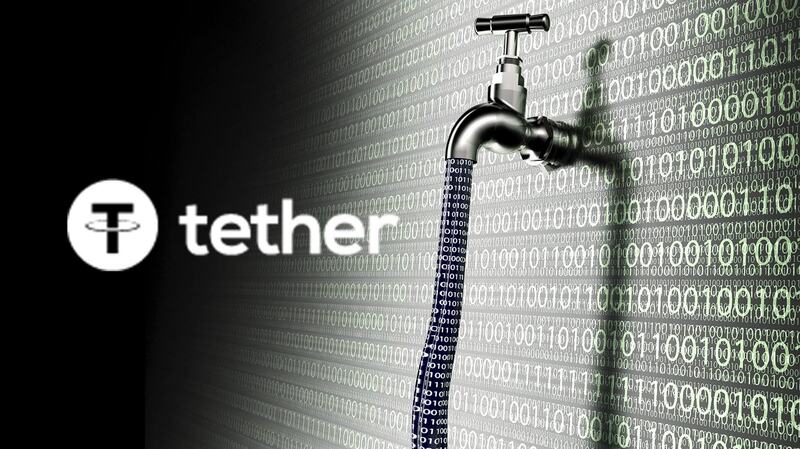 Since converting the cryptocurrency holdings to fiat assets is not an option for most of the retail investors, they shift their funds to stablecoins like Tether. This is the reason why the market capitalization of Tether was trending in green while the rest of the cryptocurrencies remains in the red. But this being said, the market capitalization of Tether is ahead of EOS by $32.8 million and is ahead of bitcoin by $104 million. This means that Tether can go back to lower ranking during the next market correction. For EOS, Bitcoin Cash, and Litecoin to reclaim their ranks, Bitcoin has to perform well. Bitcoin being the leader of the cryptocurrency influences the overall market’s trend based on its change in price and action. The price of bitcoin has stabilized at $3,600 for weeks. This stability, especially after a prolonged bearish trend, indicates that there are very few buyers in the market. Earlier predictions made by Analysts had forecasted that Bitcoin would fall to $1,500 in 2019. However, many crypto enthusiasts are hopeful that Bitcoin would sustain above $3,000.